A modern and secure free mobile app that allows you to login and confirm your payments and documents in PNB online bank. Google Authenticator meets all modern technology and security requirements. It generates codes for two-step verification, which in turn ensures higher protection for your account by requesting you to perform a second verification action during sign-up. You will need to enter both the password and the code generated by Google Authenticator app on your phone. Since the codes are generated in the local application of the phone, such codes cannot be intercepted and used for fraudulent purposes. If you lose your mobile phone, no one else will be able to take action in your account with Google Authenticator, as it is protected by a password which only you know. How to create and use a Google Authenticator account? We have prepared a manual where you will find the information you need to start using Google Authenticator. 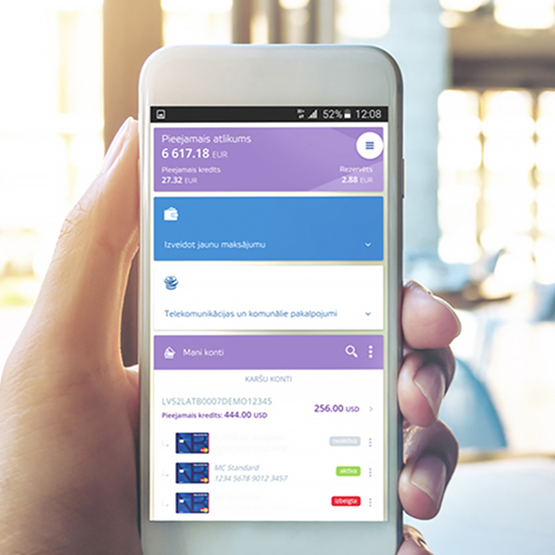 When starting to use Google Authenticator, we recommend that you do not remove the previously used authentication tool (such as SMS-PIN), so that you do not need to go to the customer service centre of the bank if you change your phone, but can connect Google Authenticator to your new phone on your own.